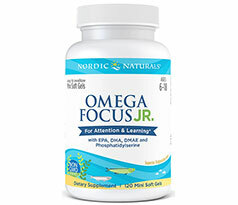 Nordic Naturals - Omega Focus Jr.
HOME PAGE CHILDREN'S PRODUCTS OMEGA FOCUS JR. Many parents instinctively know that nutrition plays a significant role in a child's behavior, focus, and attention. And science confirms that essential nutrients can impact a child's overall brain health and cognitive development. 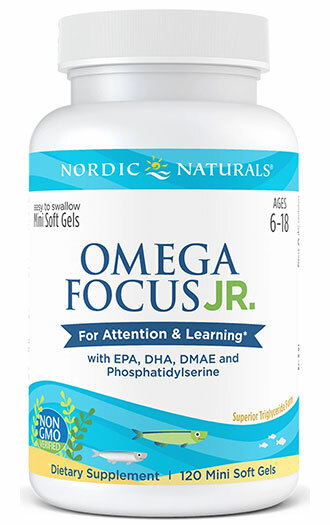 Omega Focus Junior™ is a unique blend of nutrients that benefits attention and learning by supporting overall brain health. Formulated for children ages 6–18, Omega Focus Junior combines the omega-3s EPA and DHA with phosphatidylcholine, magnesium, L-carnosine, and zinc. These five nutrients work synergistically throughout the brain to help support the structure and function of cells, and promote effective communication between neurons. 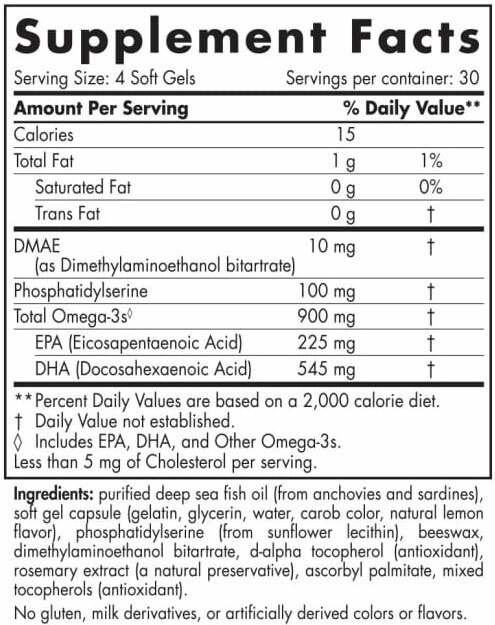 Unlike other brands, Nordic Naturals makes all their fish oil concentrates in the triglyceride molecular form—the form naturally found in fish, and the form your body most easily absorbs. * Everything we make is non-GMO and third-party tested, surpassing the strictest international standards for purity and freshness. Nordic Naturals fish oils are Friend of the Sea (FOS) certified and sustainably made in a zero waste facility powered by biofuel.